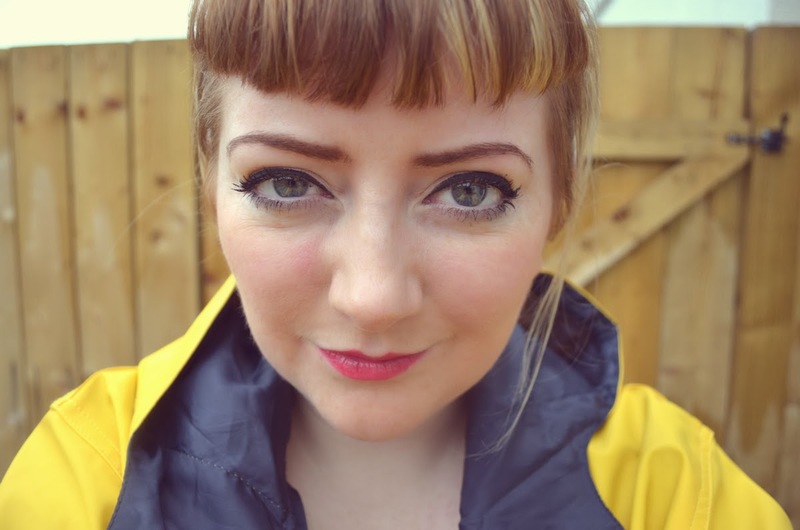 I have been on the hunt for my ideal yellow raincoat for an absolute age - and I used to think it just didn't exist! I wanted one that would withstand horrible Scottish weather and make me look a wee bit like a lighthouse keeper, but didn't feel like I was just wearing a tent. I kept passing tiny children wearing dream raincoats & was so jealous that they didn't seem to come in adult sizes (er, I'm a normal person, right? 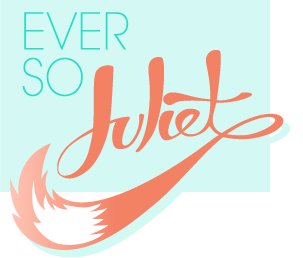 ), but then... I found it! Hooray. 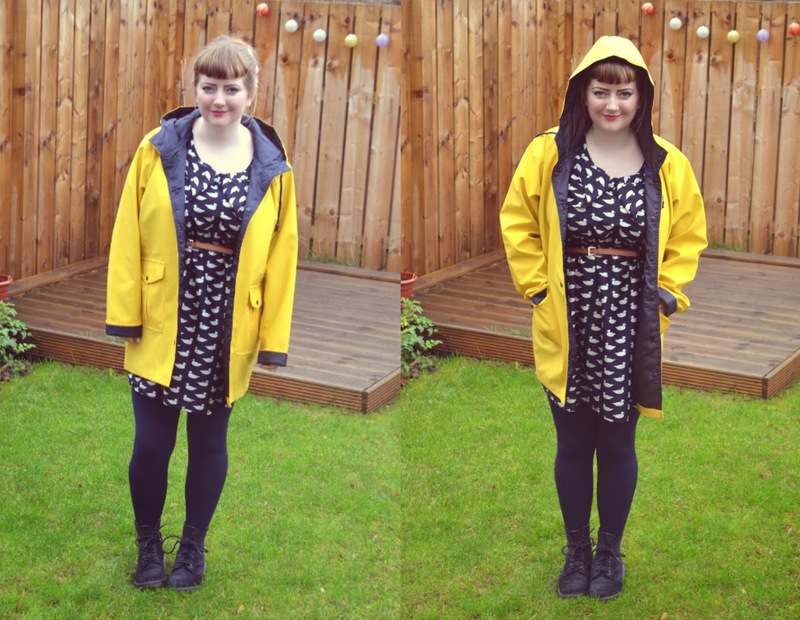 Say hello to my very perfect yellow raincoat. It's an ASOS rain mac that's sold out on their site, but this Ebay seller seems to have MILLIONS of them. I don't actually know how that works, but I don't actually care, as it's perfect. It came really quickly, and fits pretty well (I think it's actually a wee bit too big, but that's my fault for being cautious and ordering on the larger side!). Since it arrived it's pretty much rained non-stop in Edinburgh, so I've had loads of chances to test it out and splash about in puddles. It's just so good! 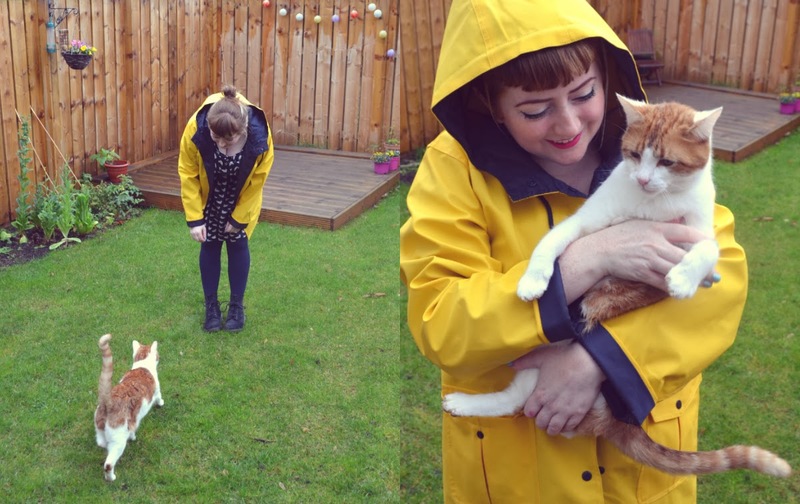 Another benefit of having a super waterproof coat is that you can cuddle soggy kittens! Riley is the MOST ANNOYING cat sometimes... particularly on rainy days when he can't decide if he wants to stay in or out. If he's in, he ends up mewling at the back door pathetically, and if he's out he can only last five minutes before he decides he's too soggy and needs to come in. And repeat. Aren't cats fun. And did I mention it's only twenty three pounds? What a BARGAIN. Aw, yellow raincoat, I heart you! If there's one thing that having a small person has taught me it's that more little girl clothes need to come in grownup sizes. You are so adorable. I love the pic of kitty running towards you in your coat.So cute. Win tickets to the Pleasance Sessions!